Instructions: Card size is 6 x 6". Cut black cardstock 12 x 6", score at 6" on the long side and fold to create card base. Cut the 6 x 6" panel that has the hexagon border from the Sweet as Honey paper collection. Trim this to 5 7/8" x 5 7/8", ink the edges with Black Soot ink and adhere to the card base with dimensional tape. Glitter the hexagon design on the paper using glue and Crystal Ultrafine Transparent glitter. Cut a piece of black cardstock 3 x 4 1/4" and a piece of the blue paper from the collection 4 1/16 x 2 7/8". Ink the edges of the blue paper with Black Soot ink and adhere to the back cardstock with dries clear adhesive. Adhere to the card base as shown with dimensional tape. Cut another piece of the designer paper 5 7/8 x 5 7/8", ink the edges and adhere to the inside of the card. Cut the honeycomb die from black cardstock, sponge with dries clear adhesive and sprinkle with Midnight Gold glitter. When dry, adhere to the card front as shown. Stamp the carnations on white cardstock with Lipstick Red ink, color with Lipstick Red and Tangelo inks and diecut using the coordinating dies. 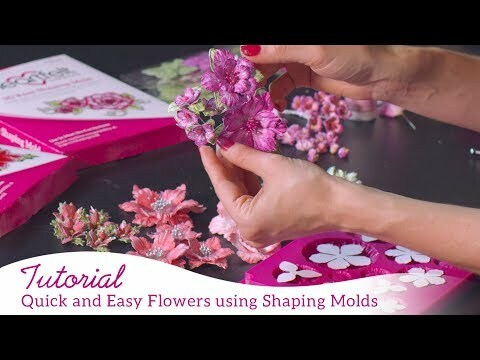 Place in the 3D Floral Basics Shaping Mold, mist with water and run through the die cutting machine. Finish shaping with your fingers and the Deluxe Flower Shaping kit. Adhere the petals together to form the carnations. Adhere two of the smallest petals together, pierce the center and add a stamen. Stamp the leaves on white cardstock using Archival Olive Green ink, color with Leaf Green, Olive Green and Tangelo inks. 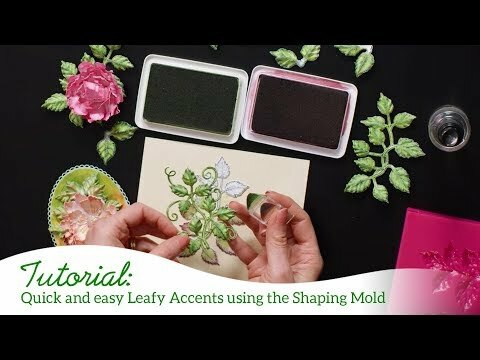 Place the leaves in the Leafy Accents Mold, mist with water and run through the die cutting machine. Set aside to dry. Sponge the leaves and carnations with dries clear adhesive and sprinkle with Rajni Chawla's Crystal Clear glitter. Adhere to the card base using the hot glue gun. 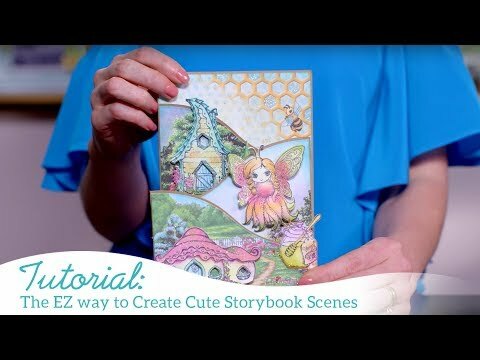 Stamp the bees on white cardstock using VersaMark, sprinkle with black embossing powder and heat set using the Heat It tool. Color with Zig Clean Color Real Brush markers, sponge with glue and sprinkle with Crystal Ultrafine Transparent glitter. Lightly shape using the Deluxe Flower Shaping Kit and adhere to the card base as shown using dimensional dots. Cut the sentiment from the paper collection, ink the edges with Black Soot ink, mat with black cardstock and adhere to the card front using dimensional dots.